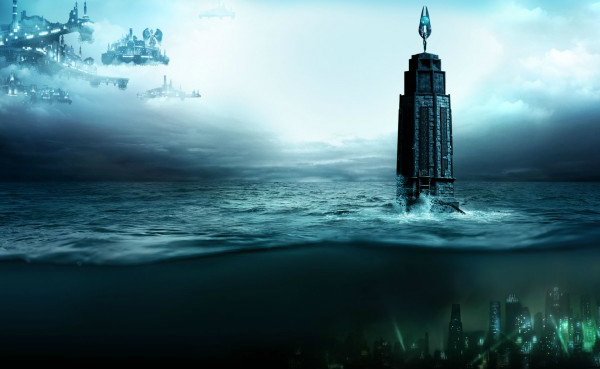 2K Games appears to be on the verge of unveiling BioShock: The Collection. Adding to the mountain of evidence that Irrational Games’ acclaimed trilogy was on its way to current-gen systems, 2K today posted a Tweet under an all-new BioShock handle. Could this be a sign of things to come? It certainly seems so. Soon after the Tweet went live, AllGamesDelta unearthed a listing for BioShock: The Collection on the publisher’s servers, though no release date was given. At the time of writing, that listing has now been pulled, which only adds fuel to the fire that an official announcement is imminent. Whether it is via the Taiwanese rating boards or the US Entertainment Software Rating Board, 2K Games has struggled to keep its all-but-confirmed remaster out of the spotlight. With artwork already out in the open too (see above), it seems logical that BioShock, BioShock 2 – possibly with the Minerva’s Den DLC included – and BioShock Infinite will all be bundled into BioShock: The Collection ahead of its launch across PS4, Xbox One and PC.